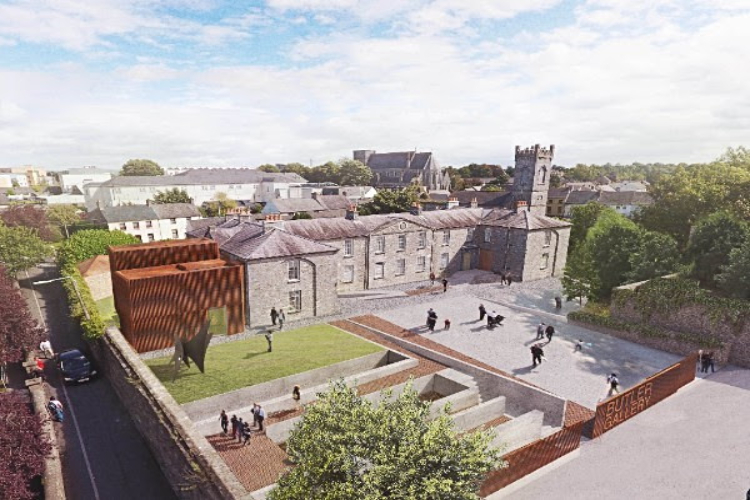 Dublin-based practice McCullough Mulvin Architects have begun refurbishment and conservation works to transform an historic former almshouse and garden in Kilkenny into a state of the art home for The Butler Gallery – one of Ireland’s most vibrant contemporary art spaces. 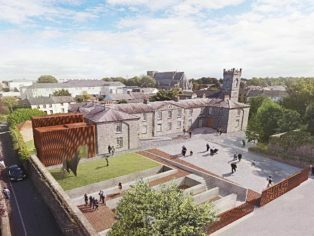 Formerly located in the kitchens of Kilkenny Castle, in the old Evans Home, a former almshouse, the new home for The Butler Gallery will be a dynamic cultural hub in the middle of the city, providing a variety of spaces for art installations, sculptures, and temporary installations both inside and out. 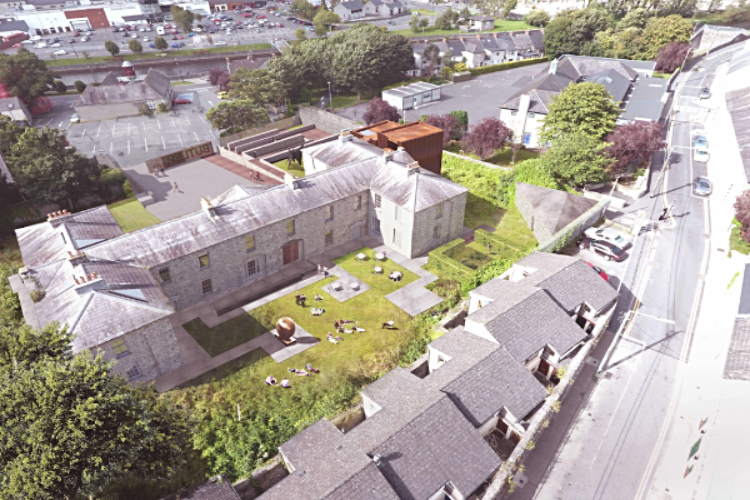 Using a similar approach to the award-winning St Mary Medieval Mile Museum – also in Kilkenny – which McCullough Mulvin renovated in 2016, the project will sensitively restore an historic building and combine it with contemporary interventions to form a successful aggregate of the old and the new. The main section of the existing 1830s almshouse will be conserved in its essential character providing a large, climate controlled, temporary exhibition space to house a variety of visual art exhibitions. In contrast, naturally lit, climate controlled galleries in the original rooms will house both the permanent collection and the bequest of Tony O’Malley, an internationally renowned Kilkenny born artist. The restored almshouse will provide spaces for the education department, staff offices as well as a garden cafe which will open out into the sculpture garden. McCullough Mulvin’s design for the Butler Gallery includes two, two-storey contemporary bronze-anodised extensions which will house a new state-of-the-art black box media gallery. These extensions will be connected to the restored 19th century almshouse through light-filled glazed passageways, and together will form a seamless set of routes and spaces. The fine detail and material of the original Evans home contrasts with the simplicity of these new architectural insertions, whilst their common function inextricably connects them. The external landscaping for The Butler Gallery will open up the grounds of the mid 19th century almshouse to the city, providing a series of open and secluded spaces for art and sculpture, including a children’s garden a sensory garden and an exposition of the archaeology on the site. The building will be connected to the sculpture garden through a series of bold geometric concrete ramps which twist through the history of the site. The Gallery will be complete in Autumn 2019.